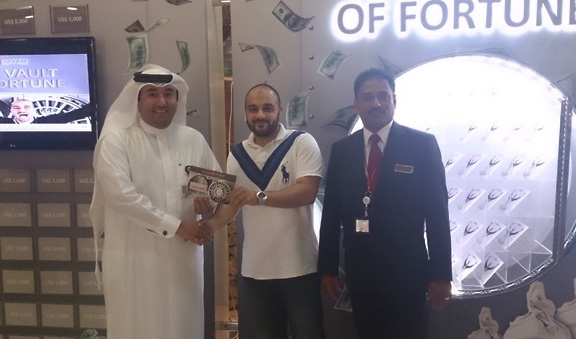 Mr. Mohammed Al-Kuwari “Qatari” won US$ 1,000 on Bahrain Duty Free Vault Of Fortune promotion on 28th April 2013. Pictured above at the draw are (left to right) April Victoria “Sales Assistant”, Mr. Mohammed Al-Kuwari “Winner” & Mr. Jose Thundiyil “Duty Manager”. We would like to congratulate Mr. Mohammed Al-Kuwari on his win, and thank all participants for their support. 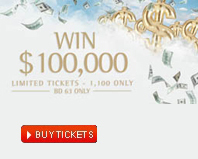 Ms. Kawtar Zaouia “Moroccan” won US$ 1,000 on Bahrain Duty Free Vault Of Fortune promotion on 27th April 2013. 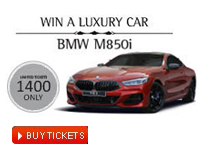 Pictured above at the draw are (left to right) Ms. Kawtar Zaouia “Winner” & Mr. Hassan Ali “Sales Assistant”. We would like to congratulate Ms. Kawtar Zaouia on her win, and thank all participants for their support. 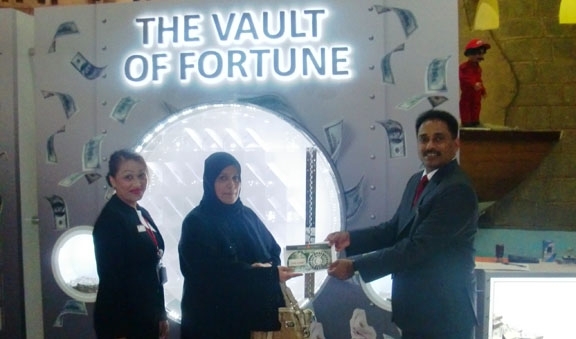 Ms. Fatima Yousif “Bahraini” won US$ 1,000 on Bahrain Duty Free Vault Of Fortune promotion on 25th April 2013. Pictured above at the draw are (left to right) “Sales Assistant”, Ms. Fatima Yousif “Winner” & A J Thomas “Duty Manager”. We would like to congratulate Ms. Fatima Yousif on her win, and thank all participants for their support. 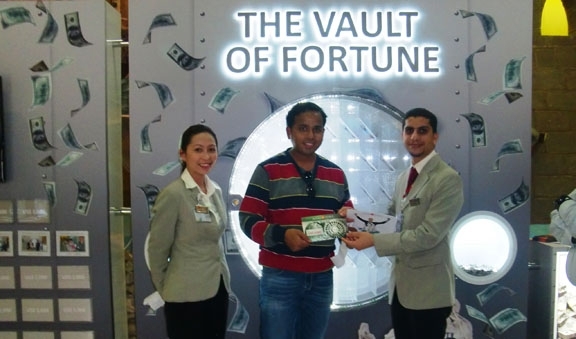 Mr. Abid Ali Moinuddian “Indian” won US$ 1,000 on Bahrain Duty Free Vault Of Fortune promotion on 24th April 2013. 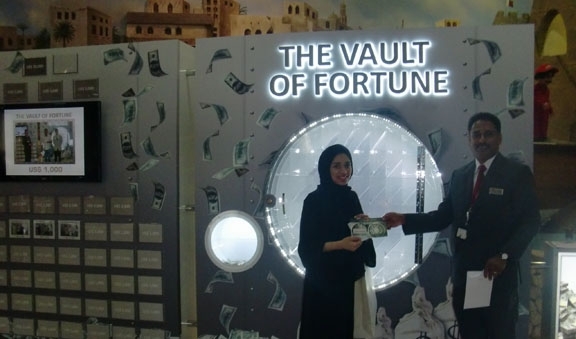 Ms. Zainab Alkubara “Bahraini” won US$ 1,000 on Bahrain Duty Free Vault Of Fortune promotion on 20th April 2013. 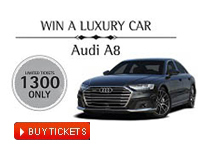 Pictured above at the draw are (left to right) Ms. Zainab Alkubara “Winner” & A J Thomas “Duty Manager”. We would like to congratulate Ms. Zainab Alkubara on her win, and thank all participants for their support. 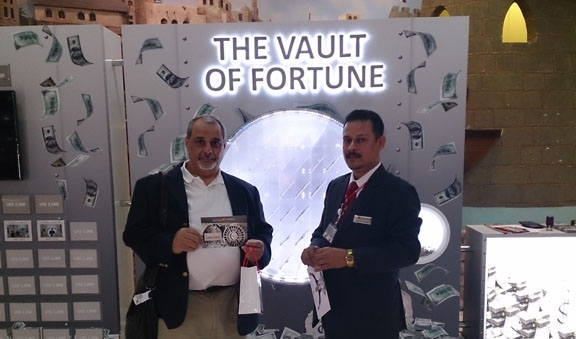 Mr. Nagi Ibrahim “Canadian” won US$ 1,000 on Bahrain Duty Free Vault Of Fortune promotion on 20th April 2013. Pictured above at the draw are (left to right) Mr. Nagi Ibrahim “Winner” & Mr. Jose Thundiyil “Duty Manager”. We would like to congratulate Mr. Nagi Ibrahim on his win, and thank all participants for their support. 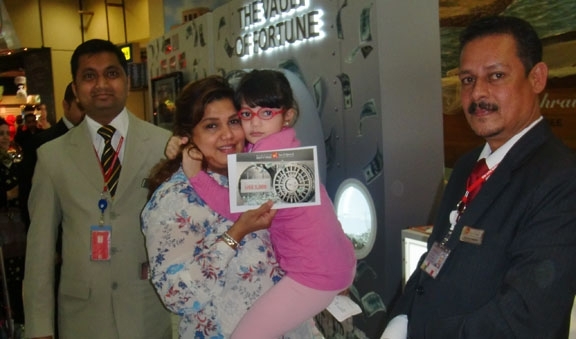 Mrs. Parveen Abdulhaleem “Singaporean” won US$ 1,000 on Bahrain Duty Free Vault Of Fortune promotion on 20th April 2013. Pictured above at the draw are (left to right) “Sales Assistant”, Mrs. Parveen Abdulhaleem “Winner” & Mr. Jose Thundiyil “Duty Manager”. We would like to congratulate Mrs. Parveen Abdulhaleem on her win, and thank all participants for their support. 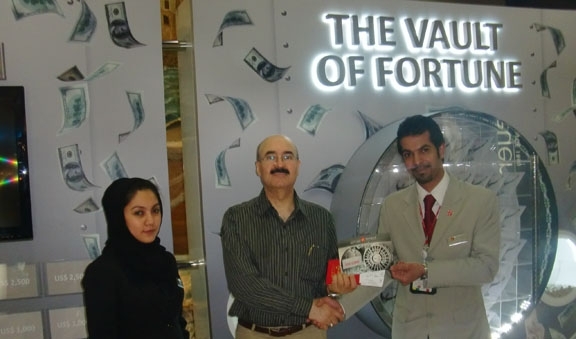 Mr. Mohammed Hussain “Bahraini” won US$ 1,000 on Bahrain Duty Free Vault Of Fortune promotion on 19th April 2013. 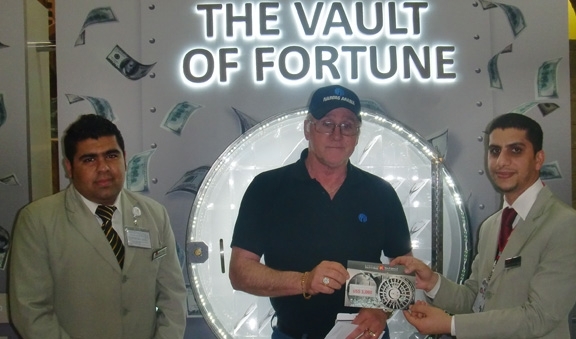 Mr. Jimmy Don Miller “American” won US$ 1,000 on Bahrain Duty Free Vault Of Fortune promotion on 19th April 2013. 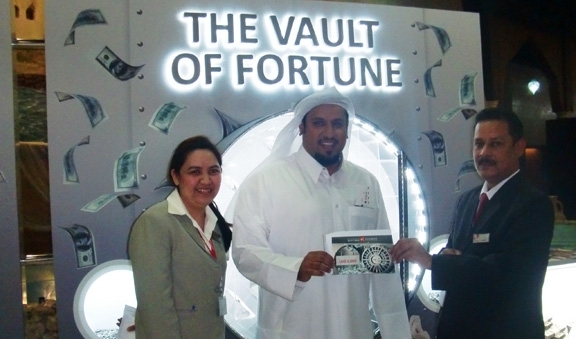 Mrs. Farah Tawfeeq “Kuwaiti” won US$ 1,000 on Bahrain Duty Free Vault Of Fortune promotion on 15th April 2013.